I’ve finished my re-interpretation of this 1975 Centurion Semi Pro, with today’s late fall Pacific Northwest sunshine providing warmth and dry roads for its first test ride. After purchasing the bike a few months ago, I disassembled it, assessed its frame and components, and then re-built it as a city commuter, to reflect the kind of riding I currently enjoy. 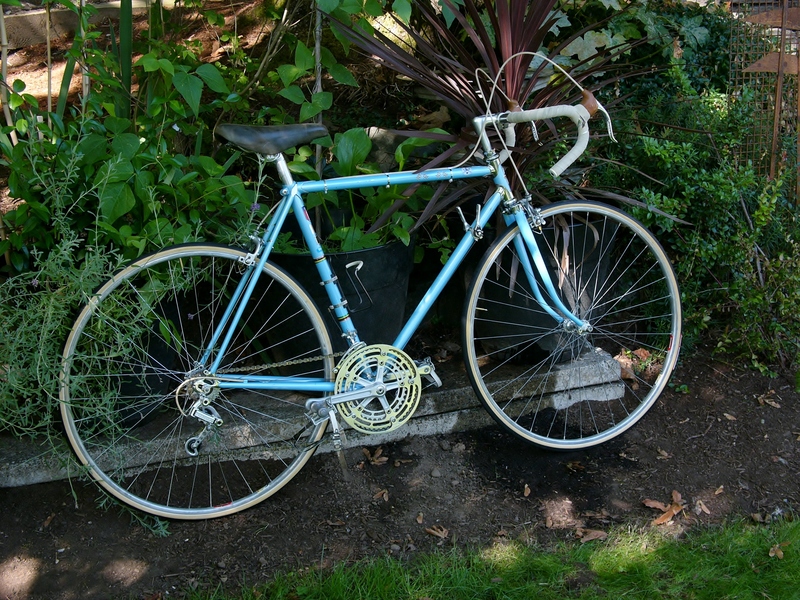 The frame was free of rust, and in unusually nice condition for its age. 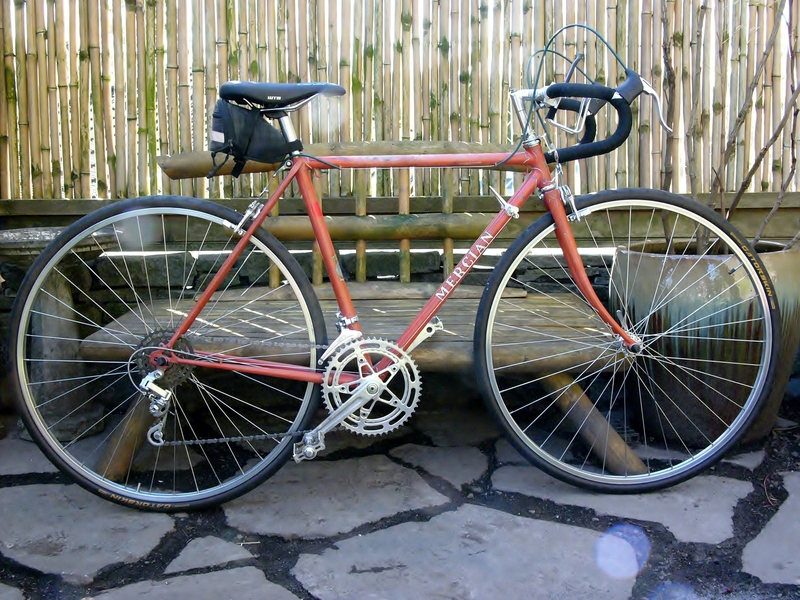 This Centurion Semi Pro had been upgraded at original purchase to Shimano Dura Ace components and a 27″ tubular wheelset. 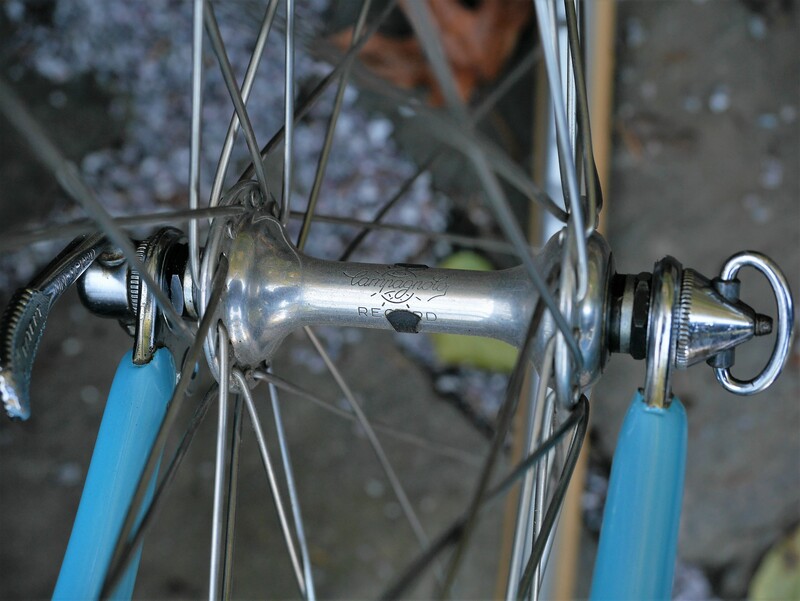 I kept as much as I could of the original Dura Ace components, but I knew that I would replace the wheelset, not wanting to ride on 27 inch 20mm tubulars through downtown Portland. 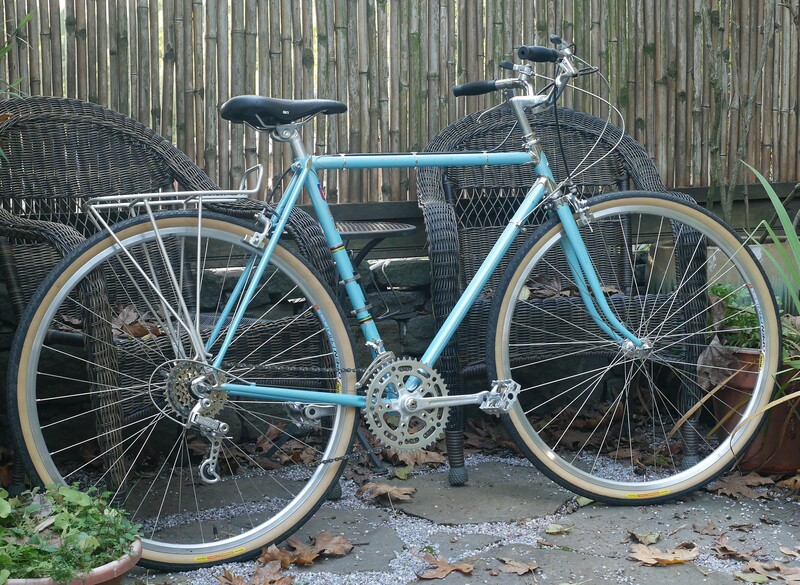 At first, I considered a 650b conversion as the best option for adapting this bike to my riding style. 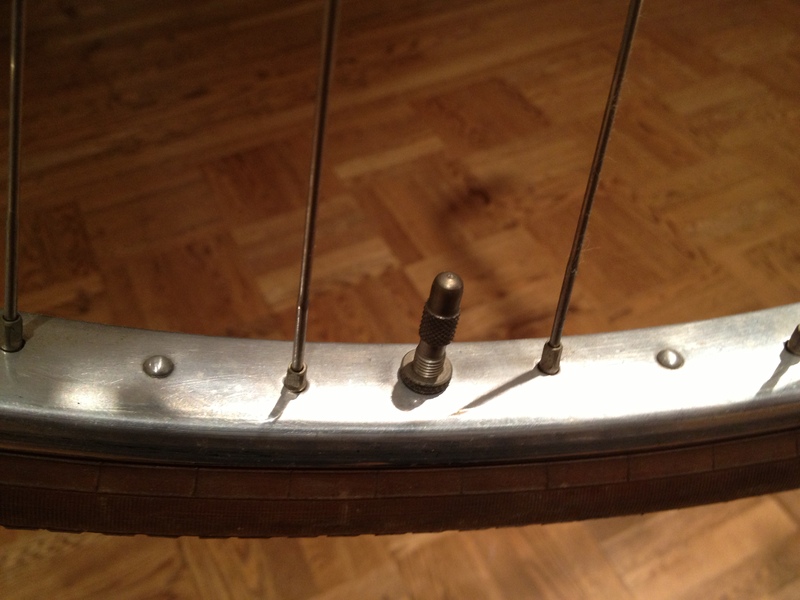 But, the close clearances on this frame designed for 27″ wheels meant that I was looking at an 87mm brake reach to accomplish the conversion. While possible, this amount of reach is not ideal. There are brake calipers which have enough reach to accomplish the conversion, but they are not in my constellation of desirable components. Instead, I converted it to 700c, using the existing anodized Dura Ace calipers, which had plenty of reach for a 700c wheelset. Campagnolo Record quick release skewer, SunTour GS Chromed dropouts with adjuster screws and single eyelets. 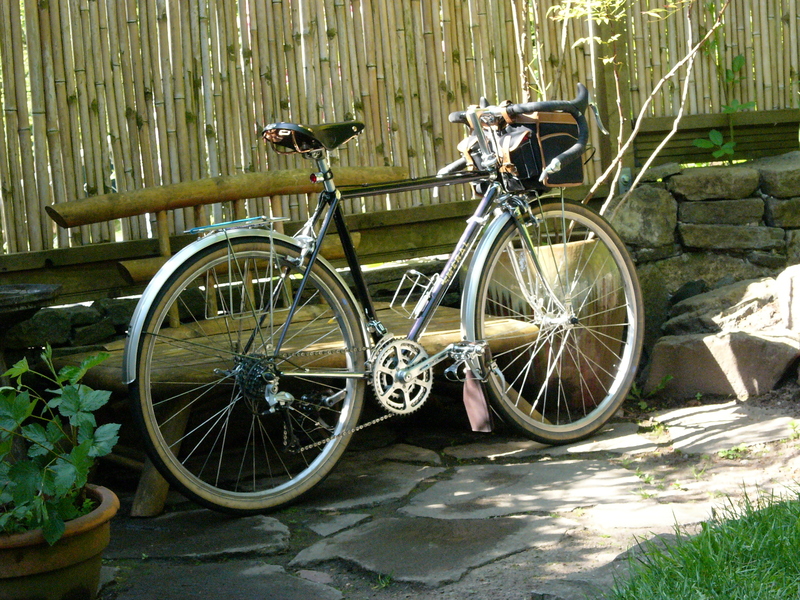 And that wheelset turned out to be one that I had built a while back and which I had used on my old Davidson: Campagnolo Record 36 hole hubs built up on new Mavic Open Pro rims. 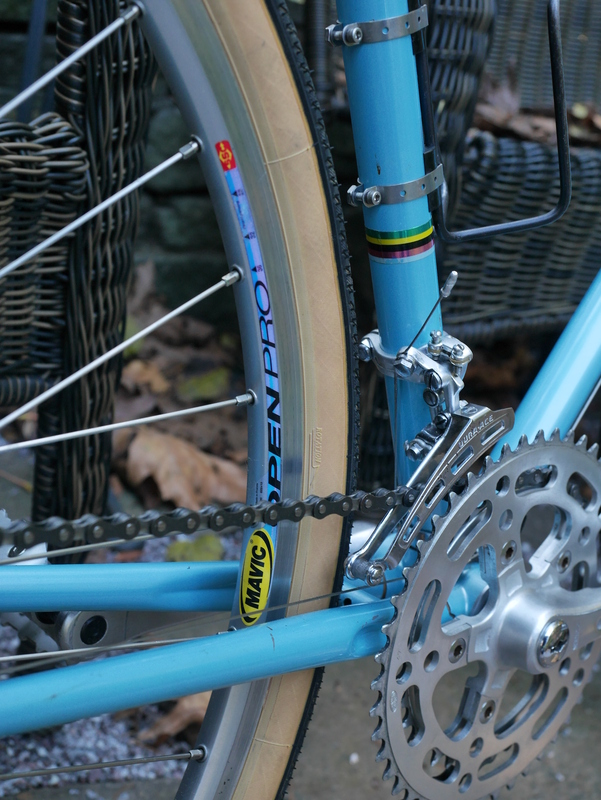 The blue rim logo picks up nicely on the Centurion’s sky blue frame paint. 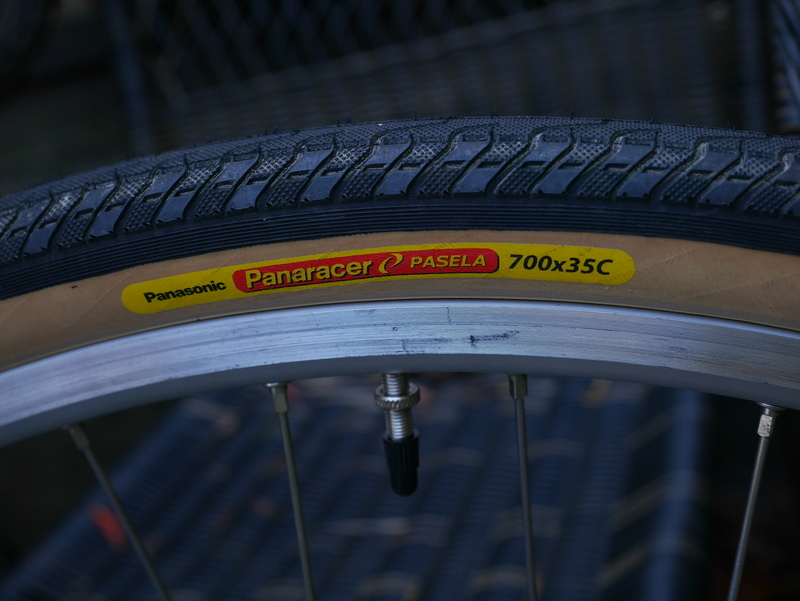 The tires are Panasonic Pasela 700 x 35. They have a tread pattern which is different from all other Pasela tires. The big tires on 700c wheels make for a tall bike, which I noticed throwing a leg over and while riding in its new upright position. Being visible is a plus for cycling commuters. For the modifications to convert this bike to city use, I selected some of my favorite components: a Stronglight 99 crankset with 48/37 rings, a SunTour gold 14-32 freewheel, SunTour bar mount ratcheting shifters, Dia Comp brake levers, and french Sufficit grips glued to a steel Northroad bar. 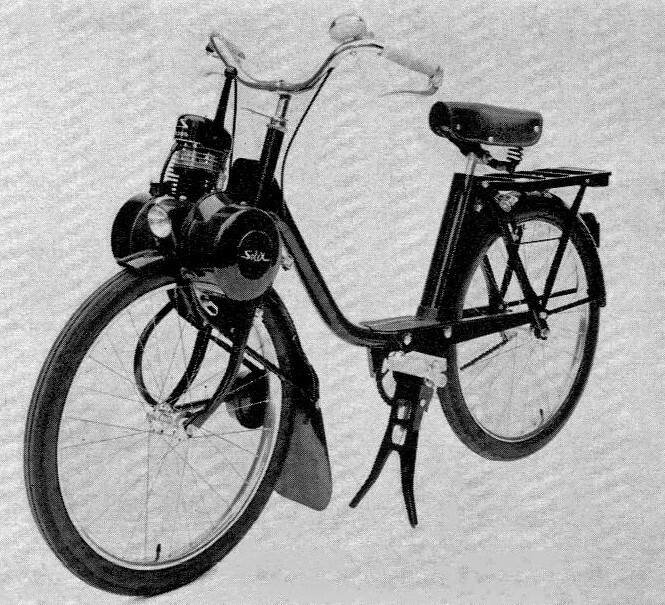 Most useful was a NOS Jim Blackburn rear rack with its single stay attachment to the rear brake bridge – a great solution for bikes without rear rack mounts. 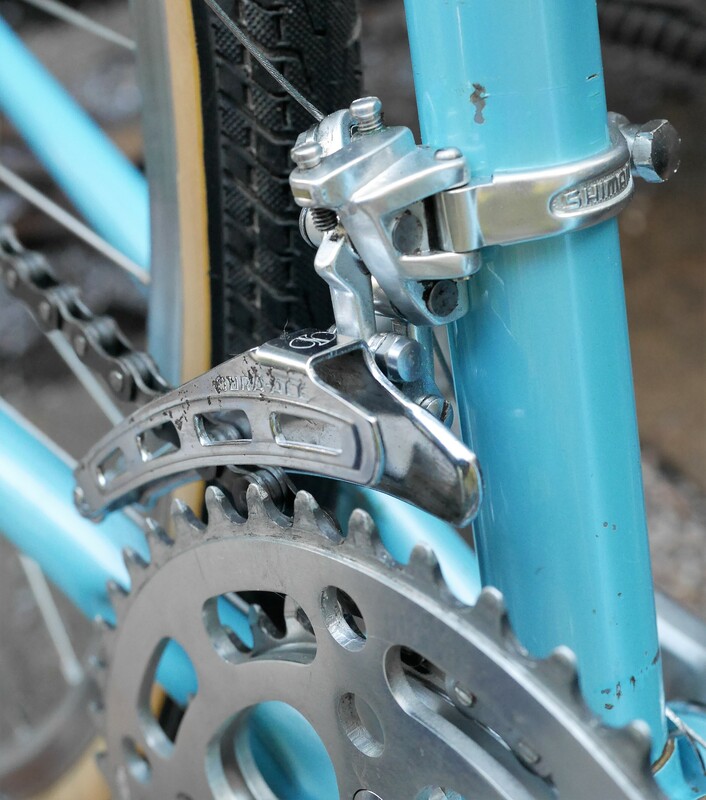 When I was selecting and testing components, the original Shimano Crane GS rear derailleur presented some problems: the amount of tension needed to shift to larger rear cogs was significant. 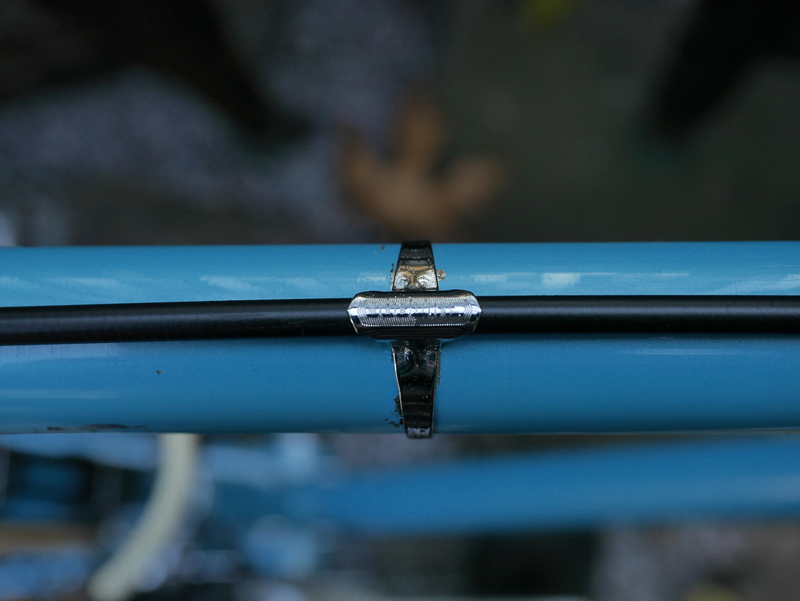 And that tension helped to explain the scratch damage on the frame from the shifter clamp moving down the downtube. 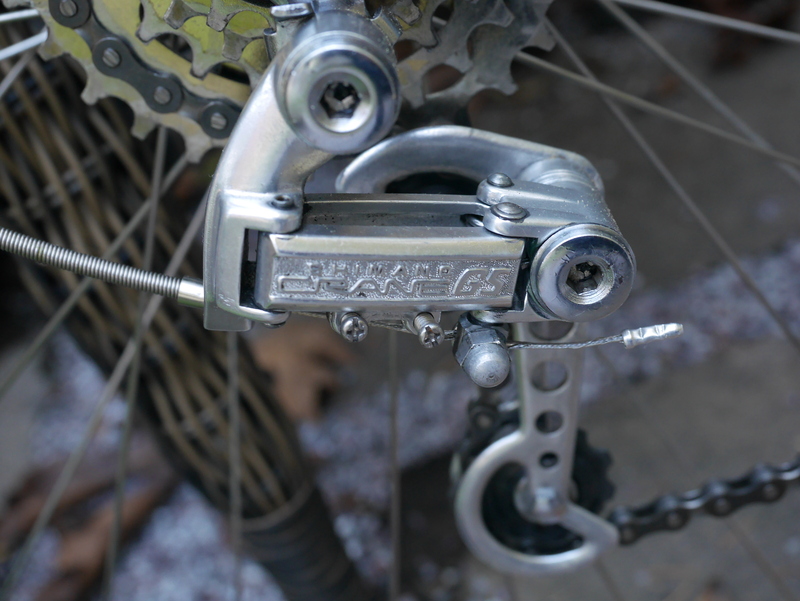 I found that the original Shimano Crane GS rear derailleur was not performing as expected. I disassembled the derailleur (thank you RJ the bikeguy) and found that the springs and pivot bolts were caked in grime and dirt. 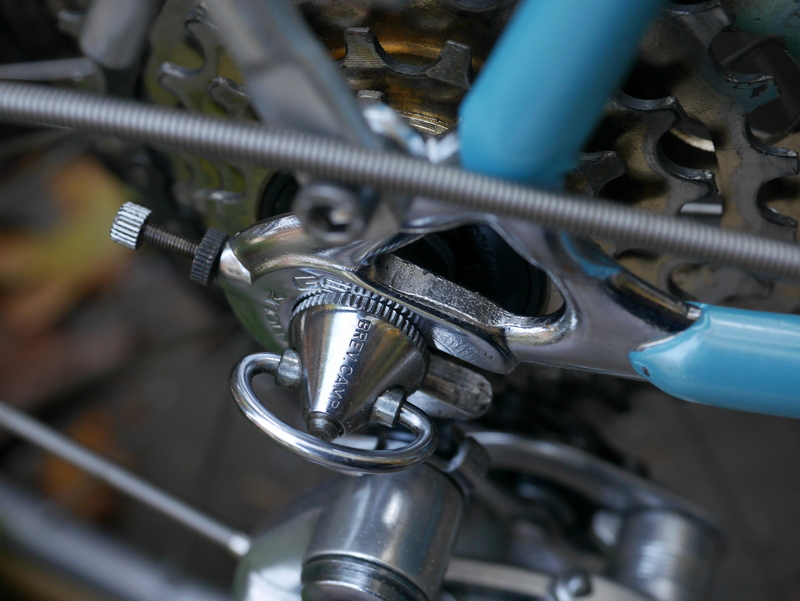 However, after cleaning and lubrication, the Shimano Crane derailleur still requires a significant amount of cable tension to move the parallelogram. Shifting the bike today on its test ride required overshifting on the up shifts, and a lot of adjustment on the downshifts. 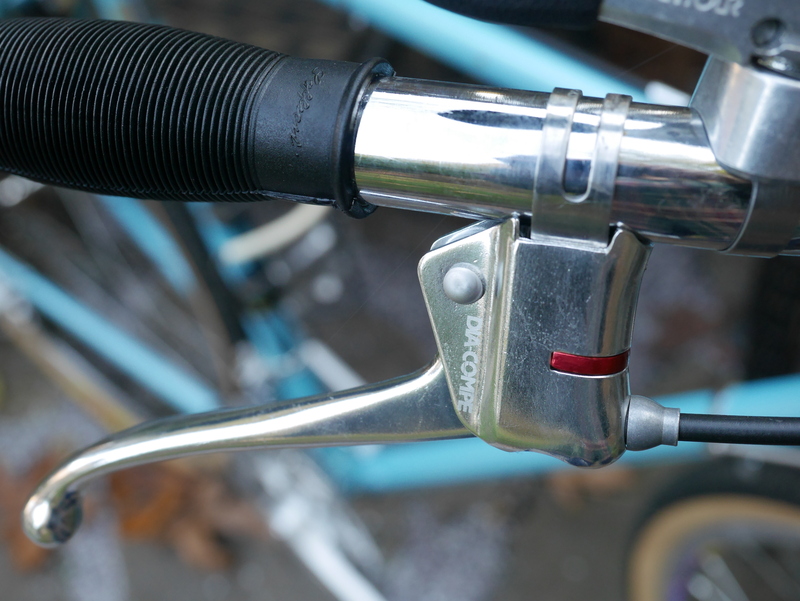 I expect that I will probably replace the Shimano Crane with a SunTour derailleur to improve the rear shifting. When I ventured out today, I planned on riding my usual route around my hilly neighborhood. 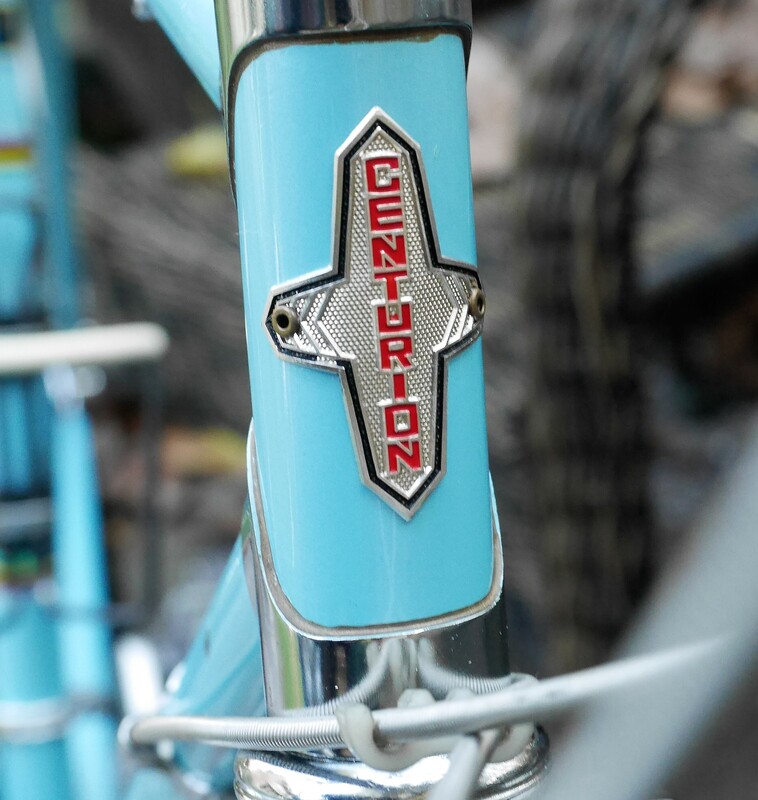 I enjoyed getting out for a ride on this Centurion Semi Pro. 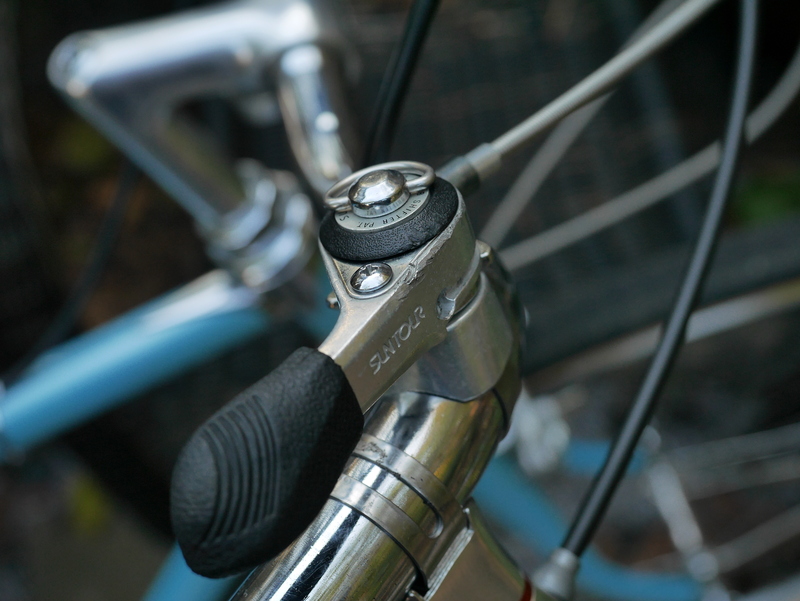 There seemed to be almost no interference between my crank inputs and the bike’s outputs. The ride was smooth and effortless. The way back home to my house involves choosing among several different routes, varying in difficulty. With this bike’s easy pedaling, I chose the most difficult route home, one that I have dubbed the “TDF” route, with its cobblestones and steep inclines. 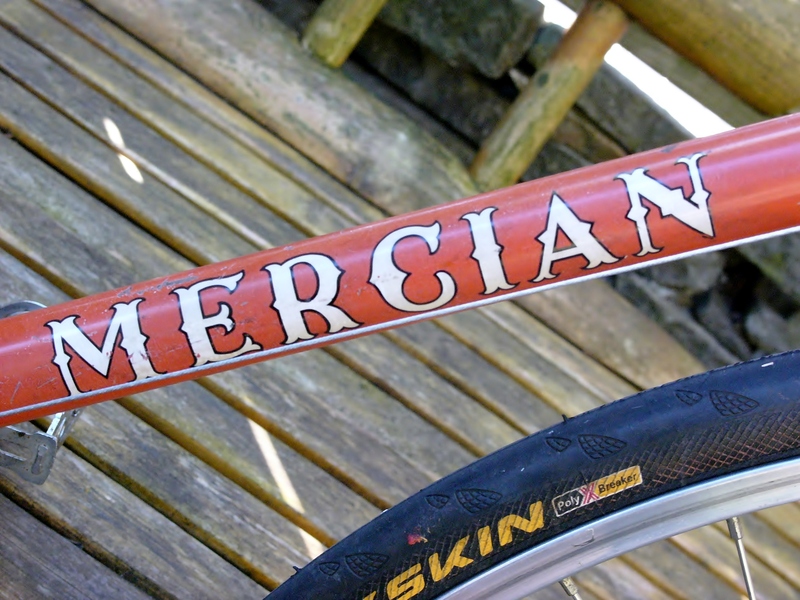 That’s a route I only ride on my ALAN or Guerciotti – lightweight and high performance bikes. 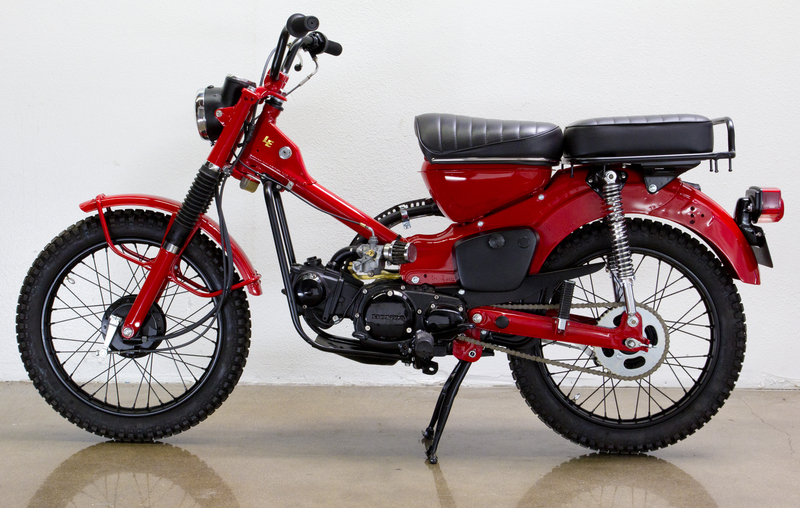 So, even as converted to a city style bike, this Centurion Semi Pro has impressed me. 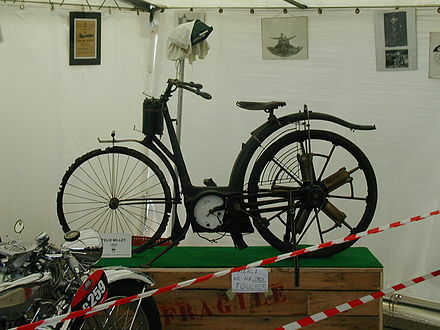 French 1939 Sironval Recumbent. 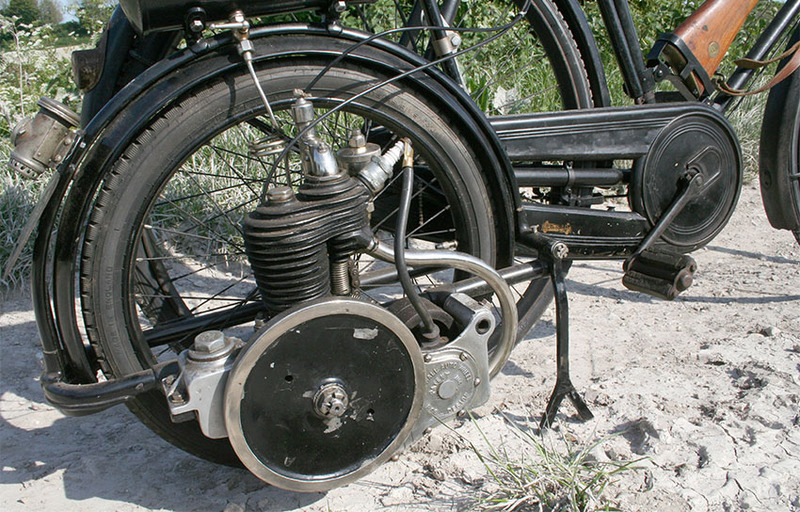 A 24 inch wheel at the rear and a 22 inch wheel in front. One of the biggest obstacles to attracting new cyclists is the fear of maintenance. 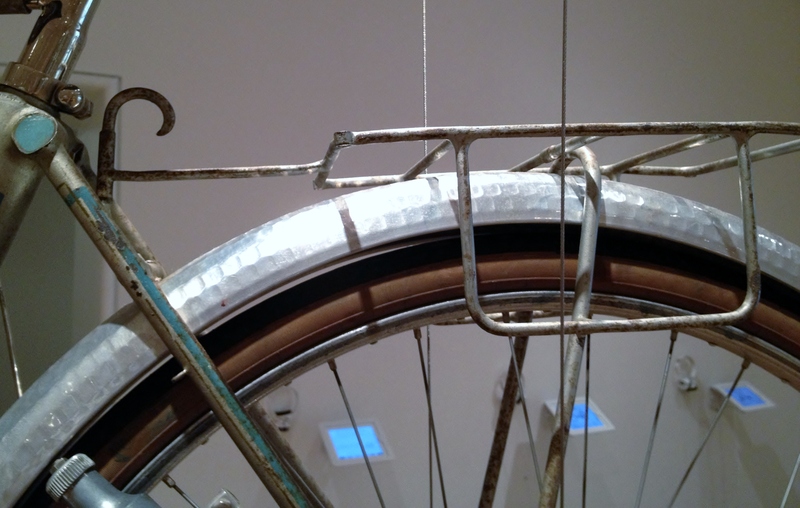 Bicycles are time consuming, messy, and non-intuitive. That’s a (fun, IMHO!) fact. It’s so much easier to drive your car, order Lyft or take public transportation, and avoid the challenges involved in becoming a commuter cyclist – right? Meanwhile, certain members of the retail cycling industry seem to lack the will or interest in helping to educate new cyclists on the many, and rewarding maintenance tasks which routine cycling requires. 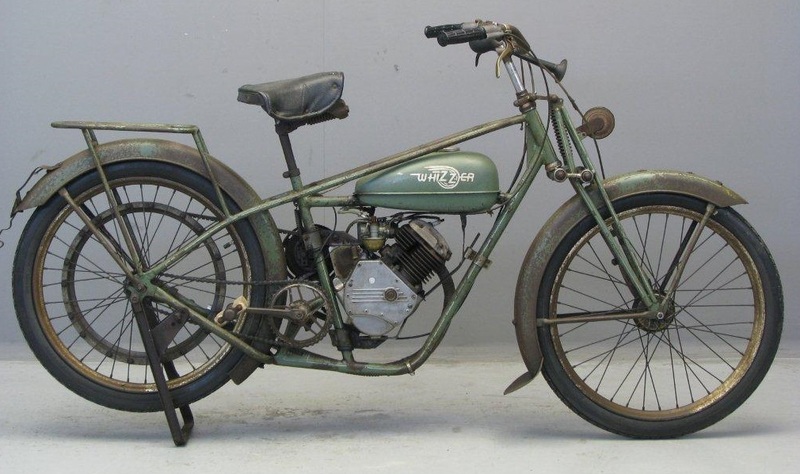 Instead, the marketing focus is on overcoming these obstacles with technology – such as belt drives, e-bikes, index shifting, bike share, and the like. And for new and returning cyclists it can feel like the retail industry’s focus is on intimidating and humiliating newbies, catering only to elite competitive cyclists and wannabes. 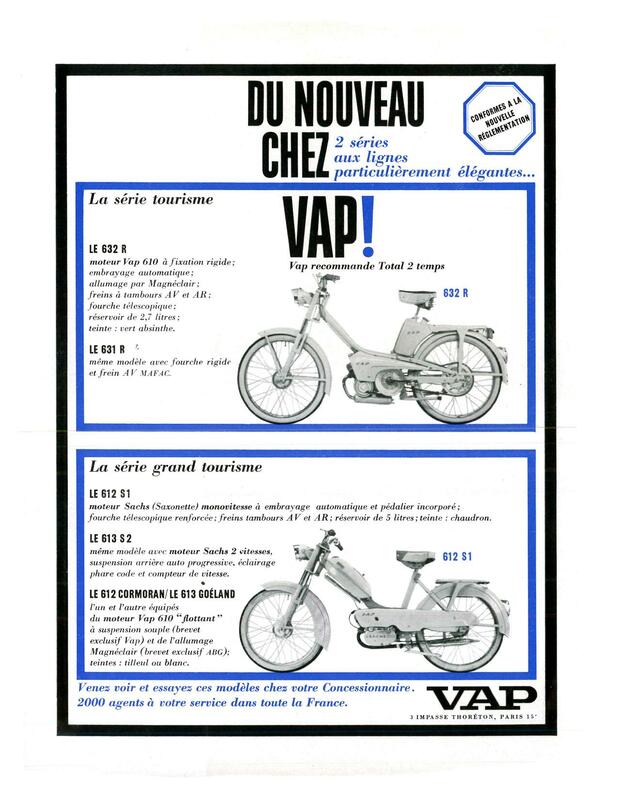 While I believe new technologies are critical to the future success of the cycling industry, I don’t necessarily believe that they are critical to the success of the cyclists themselves. 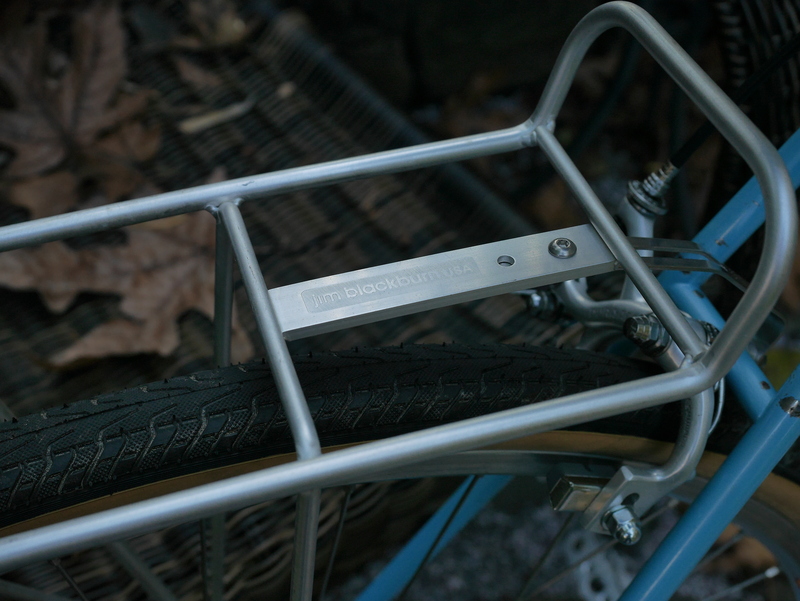 Lightweight box style rims, components drilled to save weight, and custom racks and fenders are not necessarily something the regular cycling commuter wants to think about. For a commuting cyclist, safety, efficiency and reliability are the most important elements in determining whether to ride, and what bicycle to ride. 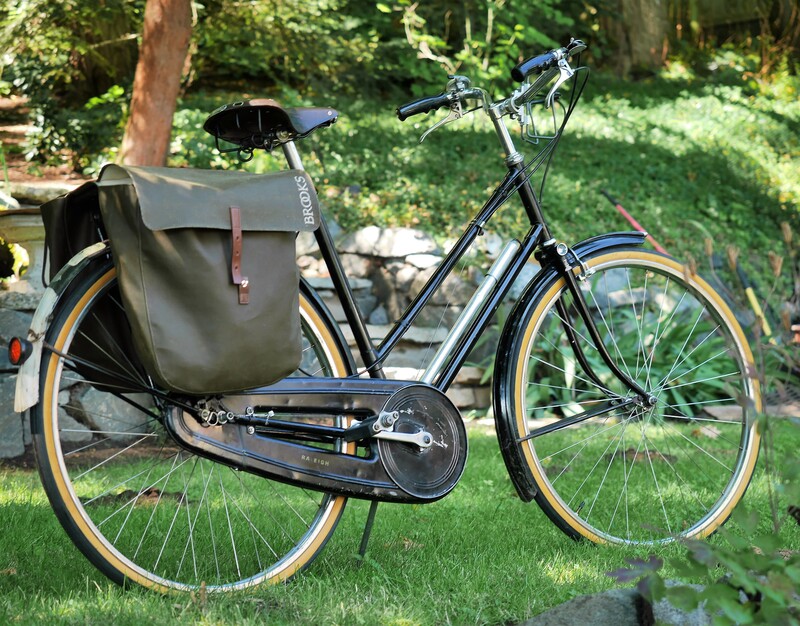 While new bicycles and e-bikes can address some of the needs of new cycling commuters, vintage bicycles, modified as needed, can actually provide much greater utility for a new or returning commuting cyclist. 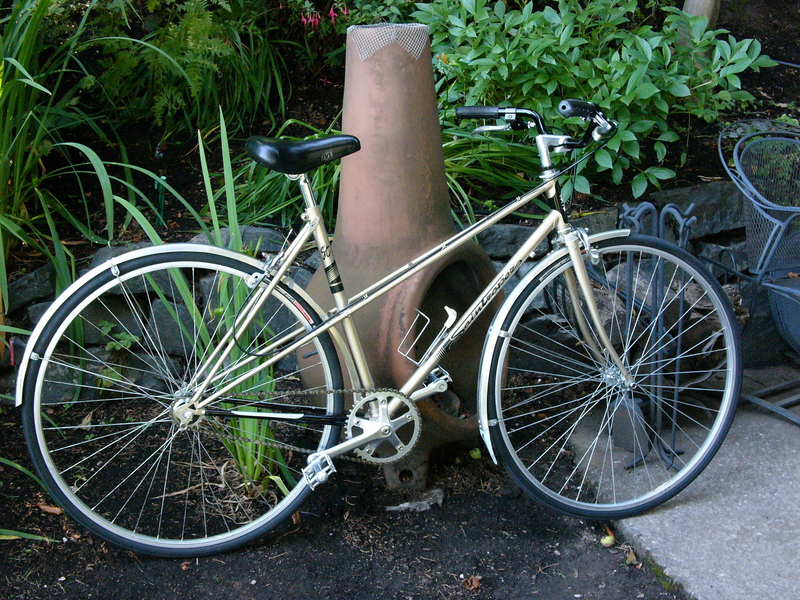 Over the last 25 year I have cycled regularly from my current home to downtown Portland where I work. That ride offers steep hills, sharp turns, and plenty of discouraging encounters with car drivers. Often in the mornings when I ride over Mt. Tabor, I have spotted the same cyclist – someone about my age, riding a fairly upright bike. We have nodded and waved to each other over the decades. Recently, I noticed this cyclist was ascending the hill I was descending with quite a bit of speed. When I passed her, I realized she was now riding an e-bike, and that made me smile. Yes, keep riding, and find the right bike to do it with. But what is that bike? 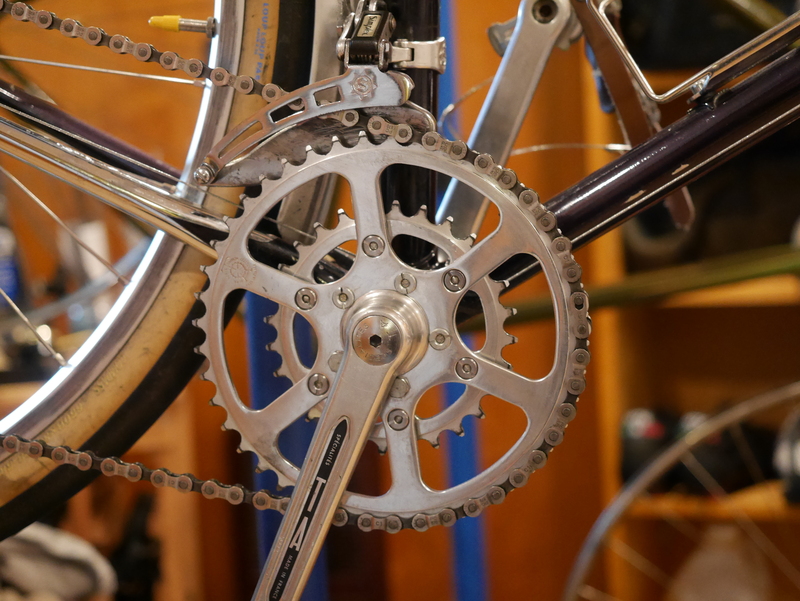 I think the first thing to look at is the drive train – which involves choosing among internal hub gears, single speed, or derailleur options. 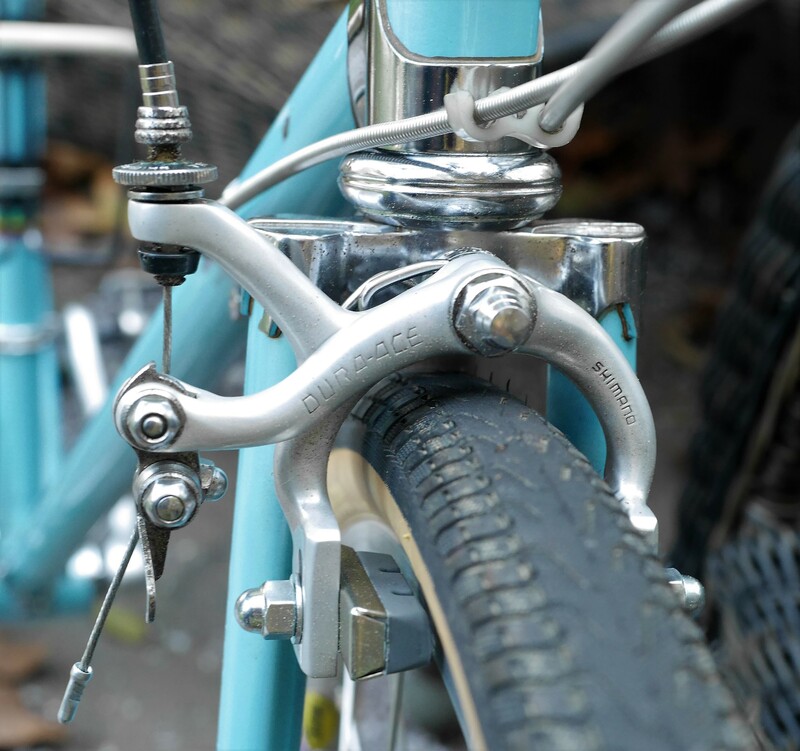 Chain driven derailleur-geared bikes offer the greatest range of gears as well as the greatest efficiency. Derailleur equipped bikes are also the most time consuming and messy when it comes to routine maintenance. 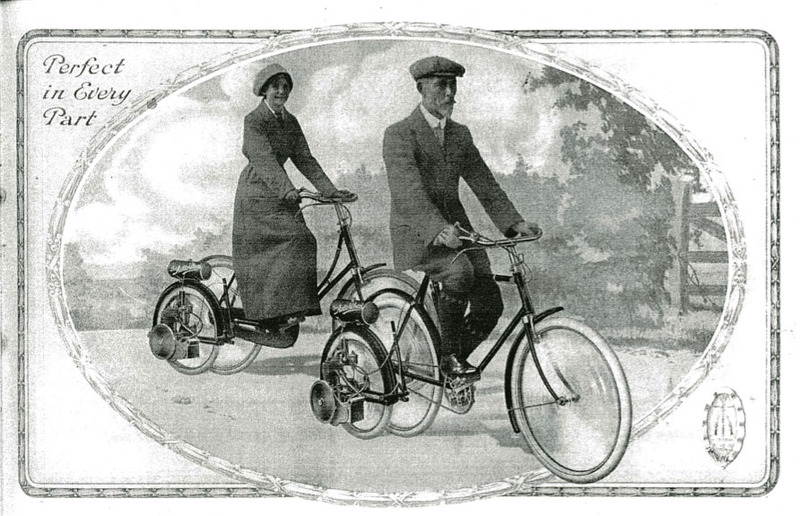 These are also the most commonly found vintage bicycles. They are generally very reliable, and are the easiest to learn to work on yourself. Their components have not been designed for built in obsolescence. 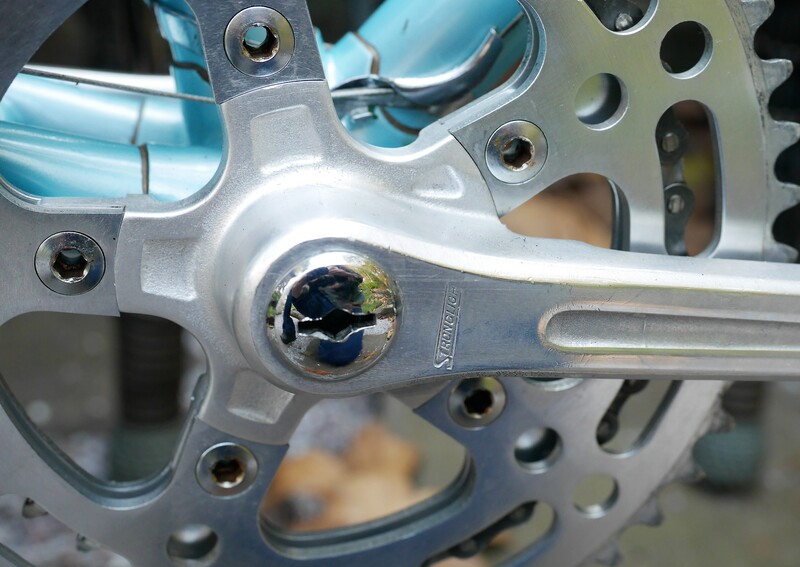 A cyclist in a relatively flat environment can instead choose a single speed or internally geared option, and that will mean very little routine maintenance for the rider, but potentially expensive service costs should the internal hub fail. 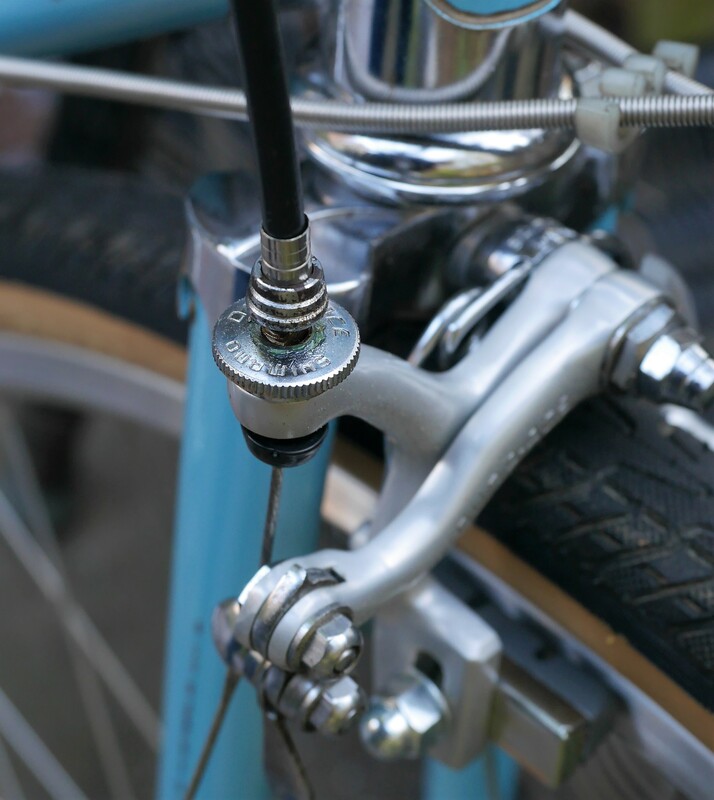 Vintage Sturmey Archer hubs are extremely reliable, and with only routine lubrication can last many decades without the need for an overhaul. 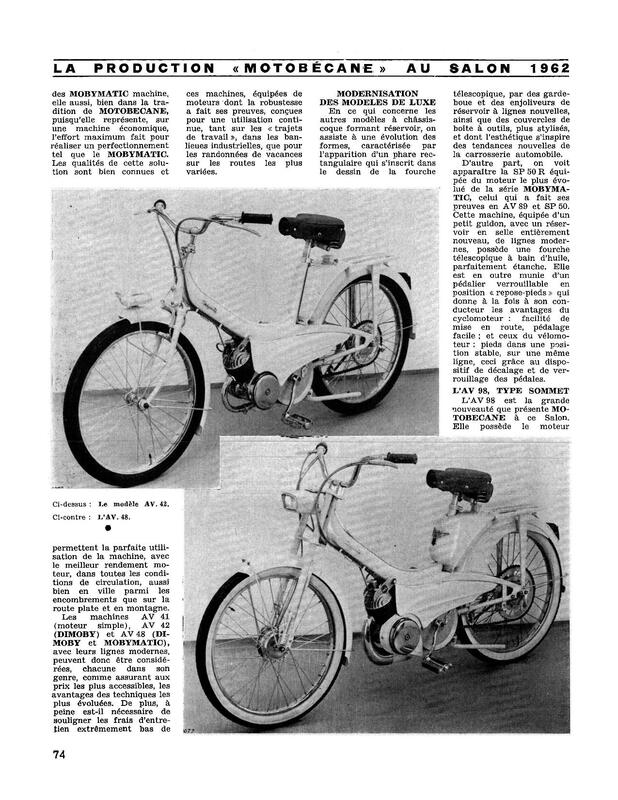 So, a good choice for commuter cycling in a relatively flat environment would be a pre-1970 bicycle with a Sturmey Archer internally geared hub. 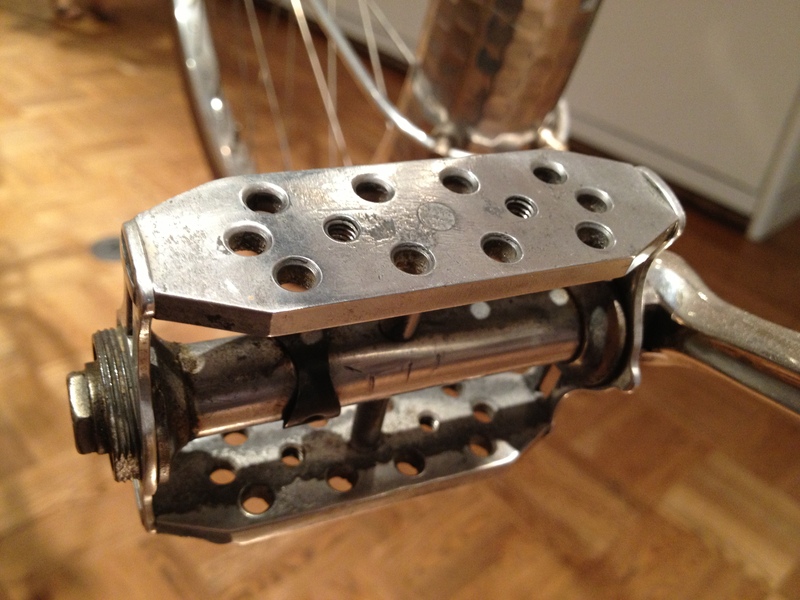 I would like to make the case for the derailleur geared bicycle as the most desirable choice for new commuting cyclists. You can achieve, by far, the greatest gearing range and the most efficiency by using a front and rear derailleur with at least two rings up front and 6 or more cogs in the back. 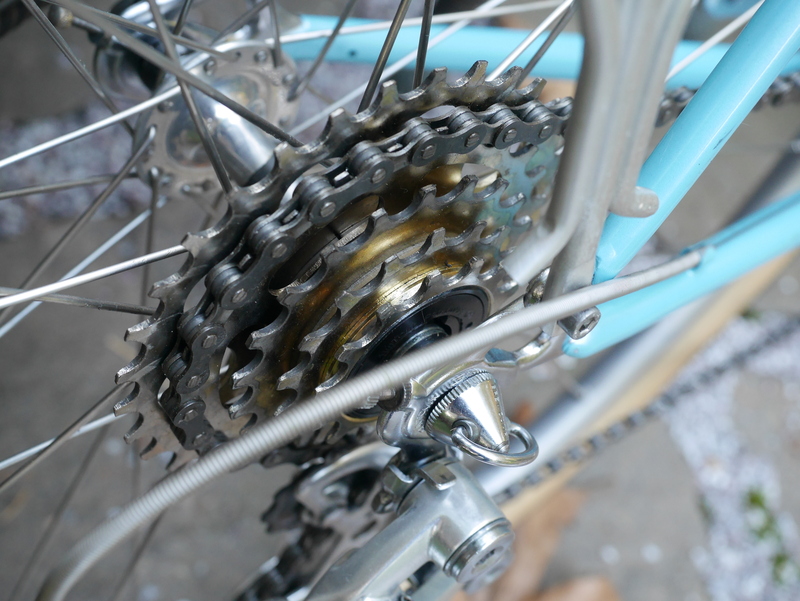 But, I have often seen neglected triple crank bikes, with teeth wear only on the middle chain ring. Their riders decided not to figure out how to shift or trim out the front derailleur, and instead used only the middle ring. That is something to take note of. 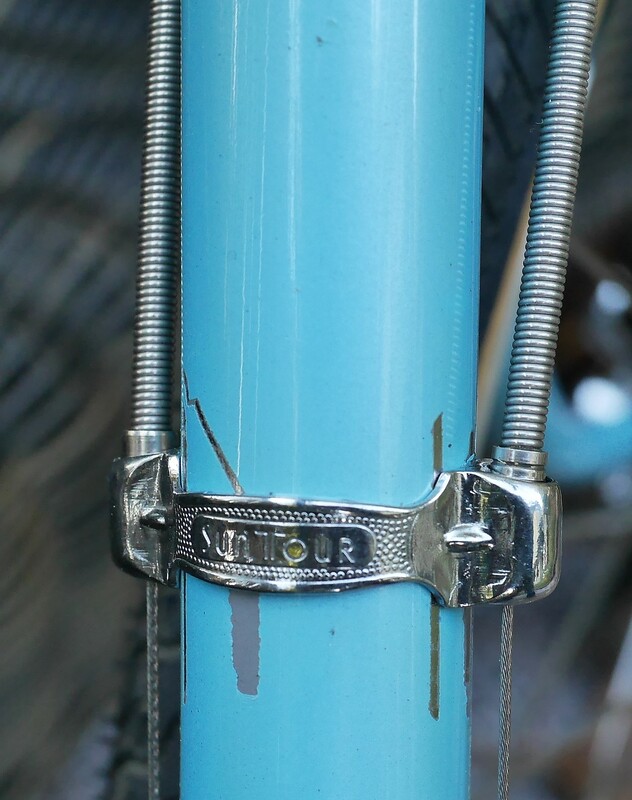 The other reason vintage bicycles are so much more suited to new and returning cyclists is their steel frames, usually lugged, and often quite beautiful. 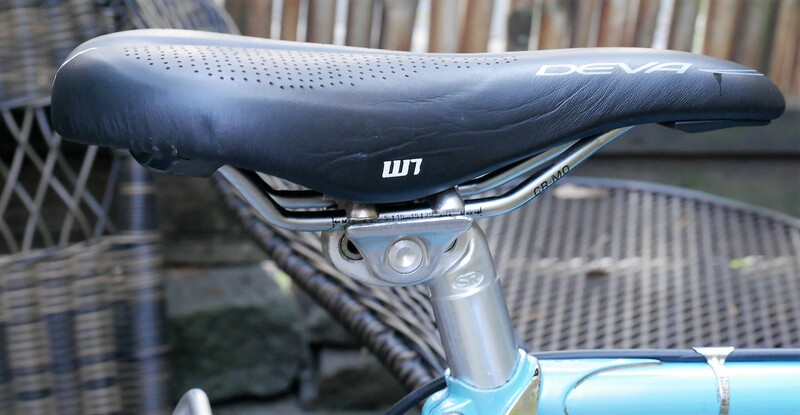 It is a matter of pride to venture out on one’s well-designed, comfortable, and eye-catching lugged steel frame and ride among the masses of heavy, stiff, uncomfortable aluminum frames, or those of questionable reliability such as carbon fiber.